Landscape architect Grant Associates was part of the winning team led by UNStudio and Cox Architecture to design Southbank by Beulah – an AUS$2 billion mixed use development in Melbourne, Australia. Known as Green Spine, the scheme will, subject to planning approval, see the construction of two twisting ‘green’ skyscrapers with the highest standing at 356.2 metres, making it Australia’s tallest building. 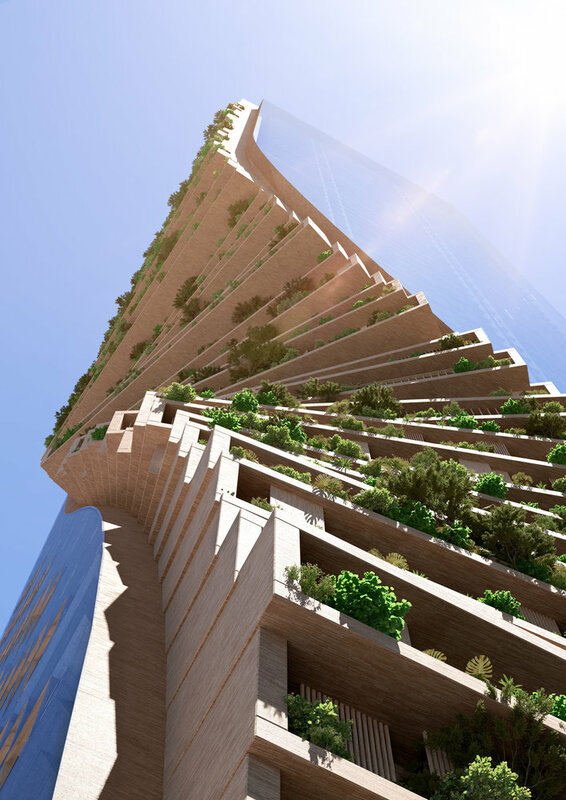 The skyscraper will be topped by a publicly accessible garden space, while extended planted terraces will characterise the facing facades of the two towers as they twist towards each other. Dutch architecture practice UNStudio teamed with Australian firm Cox Architecture, along with British firms Grant Associates, environmental design consultant Atelier Ten and engineer Arup, to win an international design competition to create the landmark development for Beulah International. The taller of the two towers will be residential, with the mixed-use tower opposite accommodating office use, a hotel, restaurants and bars. 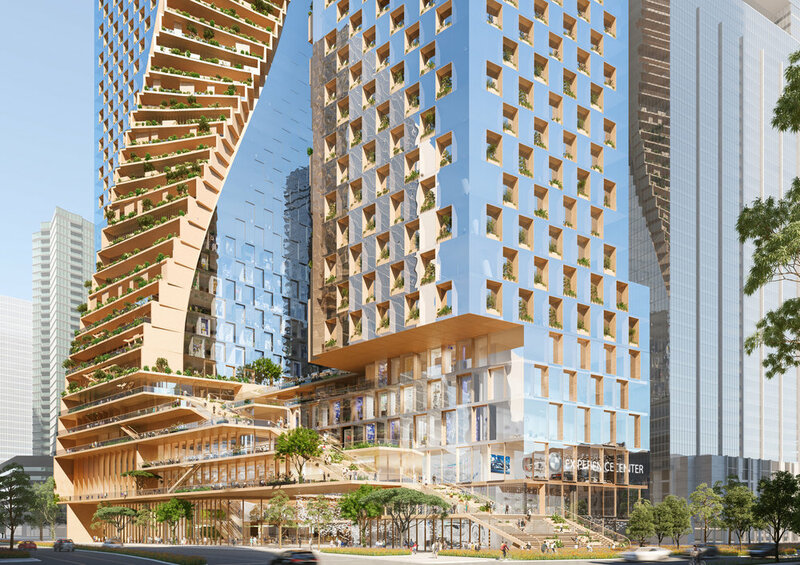 The scheme’s design concept centres on the planted facades and outdoor spaces that will create a ‘green spine’ that connects with the public realm and stretches from the street to the top of both towers. A podium connecting the two buildings will contain a school, daycare centre, library, cinema, auditorium and a BMW experience centre. This podium will be topped by a terraced landscape space for public amenity use.